Può essere utilizzato anche per un uso casalingo soprattutto per garantire la salute dei più piccoli. Spediamo con i seguenti corrieri: GLS - DHL. The iconic blue liquid is trusted and effective earning its reputation for creating a safe and clean salon. Barbicide has led the industry in disinfection since 1947. · Barbicide has led the industry in disinfection since 1947! RUST FREE RUST PROOF ALUMINIUM INTERIOR LSTS FOR YEARS. BLACK HOT TOWEL MACHINE. DOUBLE SEATED DOOR WITH MAGNETIC LATCH, TO MINIMIZE HEAT LOSS. EASY TO CLEAN. 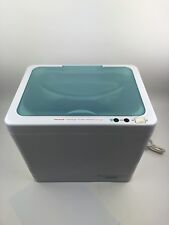 Uses UV light for sterilization of Salon tools. Calore secco Sterilizzazione Attrezzature, sterilizzatore uv/tempeture sterilizzatore. 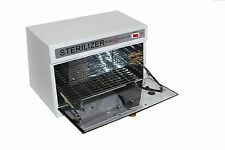 1 Sterilizatore a secco CH360T. EU & UL & AU & UK Standard. 220 Gradi Celsius. plastica e acciaio inox. 220 ~ 240 V 50Hz, 100 ~ 120 V, 50Hz. 1x 16L Towel Sterilizer. 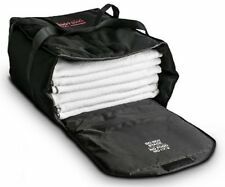 16L capacity for placing 30-40pcs towels (Reference towel size: 68x30cm). Durable and removable towel rack for storing towels easily and orderly. Built-in UV lamp to keep towels germ-free. Capacity: 5L (about 15 pieces of small facial towels). Internal aluminum alloy cabinet provide rapid heat conduction. Removable plastic drip tray mounted underneath cabinet door. The angle of the door open is within 90 degrees. I tempi sono comunque indicativi e l'attesa massima potrà essere di 72 ore. Informazioni aggiuntive. 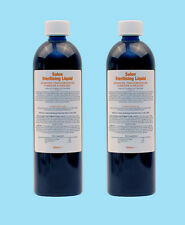 Barbicide Germicide Disinfectant For Barber's Salons and Spa's 16oz. KING RESEARCH BARBICIDE GERMICIDE 16 OZ. Will not stain skin or surfaces. The Barbicide Disinfecting Solution - 16 fl oz is a hospital-grade -. 100% authentic, fresh & new. Safe for acrylic tanning beds, stainless steel, plastics, combs, brushes, rollers, and shears. 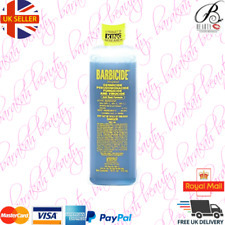 BARBICIDE 1.89L 64 oz LARGE bottle. The iconic blue liquid is trusted and effective earning its reputation for creating a safe and clean salon. · Barbicide has led the industry in disinfection since 1947! Holds up to six 8" x 24" terry cloth towels, which are included. Condition is Used. 22" tall, 23" tall with lid handle. 13" wide at top. 12" wide at base. This tool sterilizer cabinet with an 8W UV lamp. x UV Sterilizer. Capacity: 9L. There will be no high temperature during the process. 2. The ultraviolet radiation emitted by lamp is harmful when exposed to eyes and skin.3. This tool sterilizer cabinet with an 8W UV lamp. x UV Sterilizer. Capacity: 9L. Internal stainless steel cabinet provide rapid heat conduction. Servicing life of UV lamp: about 5000hours. UV lamp power: 8w. STERILIZZATORE UV CUPOLINO. Sterilizzatore a raggi UV professionale per disinfettare utensili in acciaio. Nella rara eventualità in cui si dovesse presentare un problema. Serietà e celerità sono da sempre le prerogative alla base della nostra attività. I ROTOLI PER IMBUSTARE I FERRI CHIRURGICI, HANNO UN SEGNALATORE COLORATO CHE CAMBIA COLORE DOPO CHE LA STERILIZZAZIONE E' AVVENUTA (QUANDO ESCE DALL'AUTOCLAVE). 7 PIECE BEAUTY SALON TOWEL STEAMER SET WITH FREE DISPATCH. HOT CAB M-2070 Hot Cabinet!!! Item is in good pre owned Condition...has scruff marks, scratches, paint wear, paint loss, some stains...wear and tear....item is dirty and could use a cleaning. Hot Cabi M-2070 HOT CABINET Model 207 White in color Measures about 18" long Measures about 13" tall Item doe work Please expect normal wear and tear....due to being preowned....not 100% perfect!!! Please look at all photos for condition of item and what you see in the photos is what you get....Happy Shopping!! Professional Dianne Pink Hope Sterilizing Jar Brand New In Box. Condition is New. Shipped with USPS Parcel Select Ground. STERILIZZATORE UV. Ideale per uso professionale in salone parrucchiere o barbiere, centro estetico, spa etc. "informazioni sulla restituzione" presente a fondo pagina di ogni inserzione. Tutte le informazioni riguardanti ilDIRITTO DI RECESSO sono riportate nella sezione. STERILIZZATORE LUNA. Ideale per uso professionale in salone parrucchiere o barbiere, centro estetico, spa etc. Serietà e celerità sono da sempre le prerogative alla base della nostra attività. "informazioni sulla restituzione" presente a fondo pagina di ogni inserzione. Model: RXW-2LS-AC. Overheating can occur. - ESSENTIAL: You never have to leave your patient to get them a warm blanket. - Made of 600 Denier Nylon with Dupont Thermoloft insulation. - OB offices (to heat damp wash cloths for wiping off ultrasound gel). 5, dopo pochi minuti rimuovere gli attrezzi dal mini sterilizzatore. Aiuta a pulire attrezzi. Leggero e portatile, facile da trasportare. >>>>> N O T A B E N E ! non esitate a contattarci! DIAMO E PRETENDIAMO MASSIMA SERIETA' ! Model: RXW-2LS-COMBO. Overheating can occur. - ESSENTIAL: You never have to leave your patient to get them a warm blanket. - Made of 600 Denier Nylon with Dupont Thermoloft insulation. - OB offices (to heat damp wash cloths for wiping off ultrasound gel). Model: RXW-2LS-DC. Overheating can occur. - ESSENTIAL: You never have to leave your patient to get them a warm blanket. - Made of 600 Denier Nylon with Dupont Thermoloft insulation. - OB offices (to heat damp wash cloths for wiping off ultrasound gel). A high-output, 10,000-hour rated, 8-watt (unit draws 11-watts total), 254nm ultraviolet bulb emits a powerful germicidal light that kills most microorganisms. A coated inspection window in the door allows viewing of the interior to verify the function of the UV light. Aus Baumwolle. Das Goldwell Handtuch ist 50 cm breit und 90 cm lang. Dezente Goldwell Logo-Prägung. Bei 60°Grad waschbar. Marke: Goldwell. · 100% Sicherheit. The heater utilizes 200-watts of heating power to warm towels to up to 176-degrees Fahrenheit. For maximum efficiency, the door is double-sealed to minimize heat loss. SPA-CABI-507-BLK ~ 10-15 Min to Heat. HFS XDQ-501 Professional Dry Tattoo Sterilizer Scissor Autoclave Disinfection Tool. Specification:Special design sterilizing beauty tools include nail cutter, tattoo needle, eyebrow nip, scissors, nail nipper, etc.Highest temperature 330F (165 C)The sterilizer constantly monitors it's temperature and turns on/off to keep it at the perfect level for disinfecting. This Dry Heat Sterilizer is a high temperature machine used to kill the bacteria and viruses attached utensils. It works without pressure, steam, or chemicals designed to increase safety. High Temperature Sterilizer Kill 99% Bacteria - 122-392 Fahrenheit degree / 50-200 Celsius degree. The iconic blue liquid is trusted and effective earning its reputation for creating a safe and clean salon. • Barbicide has led the industry in disinfection since 1947! • Concentrate—Simple to mix, without taking up precious shelf space! Brookstone 22" Large Towel Warmer in excellent condition. The D Salon UV Sterilizer is a great choice for any Salon or Spa. 16.5L Capacity, 20 Watt. Shielded door blocks UV rays from leaving unit. Maintains consistent temp of 150-160 degrees. For best results, use this hot-towel cabinet with small, facial-sized towels. Pre-soak the towels, wring them out, then roll them up and place towels on the wire rack inside the unit. Model: RXW-XWLS-AC. Overheating can occur. - ESSENTIAL: You never have to leave your patient to get them a warm blanket. - Made of 600 Denier Nylon with Dupont Thermoloft insulation. - OB offices (to heat damp wash cloths for wiping off ultrasound gel). Model: RXW-XWLS-COMBO. Overheating can occur. - ESSENTIAL: You never have to leave your patient to get them a warm blanket. - Made of 600 Denier Nylon with Dupont Thermoloft insulation. - OB offices (to heat damp wash cloths for wiping off ultrasound gel). Used, Good Condition, See Details Below. Used, Good Condition. Powers On, Untested Otherwise. Manufacturer Part # T-209. Earthlite has developed a proprietary line of UV Hot Towel Cabinets. The signature silver door has sturdy hinges attached to a white (or black) easy to clean cabinet. Authorized EarthLite Distributor (Free written warranty information will be provided upon request).